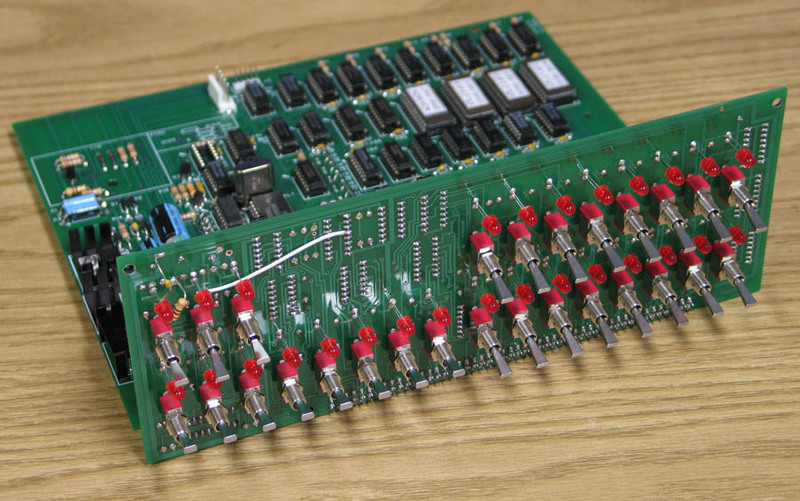 The two 1/8" audio plugs are intended for the (future) optional KCACR cassette tape interface board. 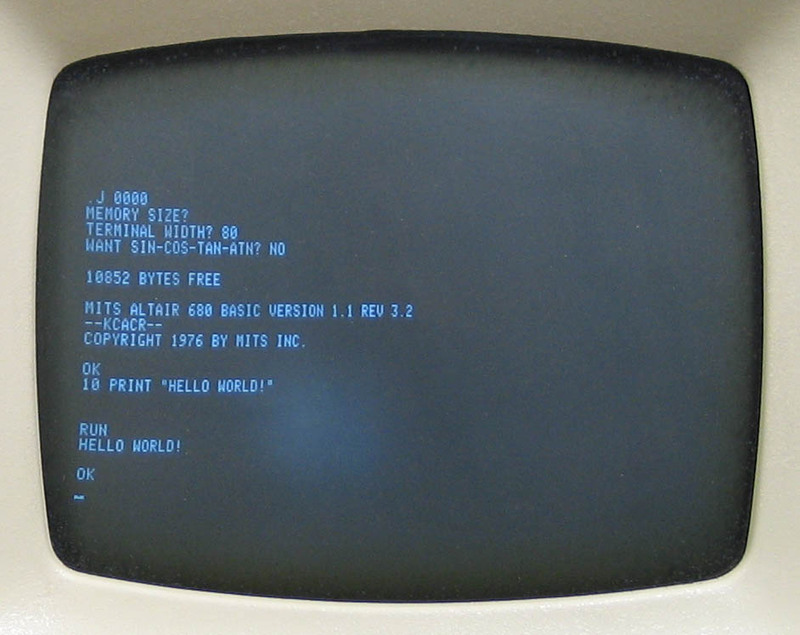 The PS/2 port is for a keyboard, part of terminal video. 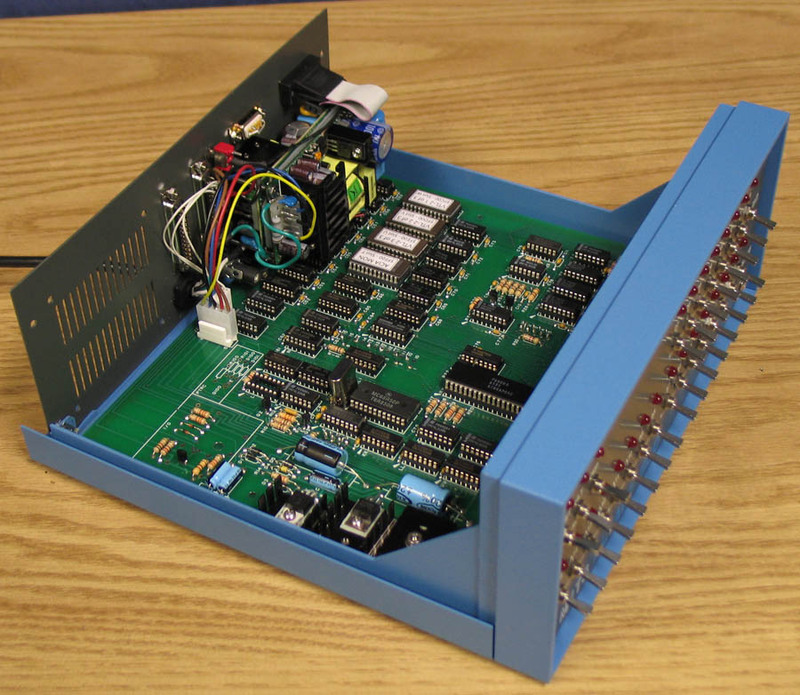 The DB25 and DB9/HD15 ports can be used for anything. The HD15 port can be used for terminal video. 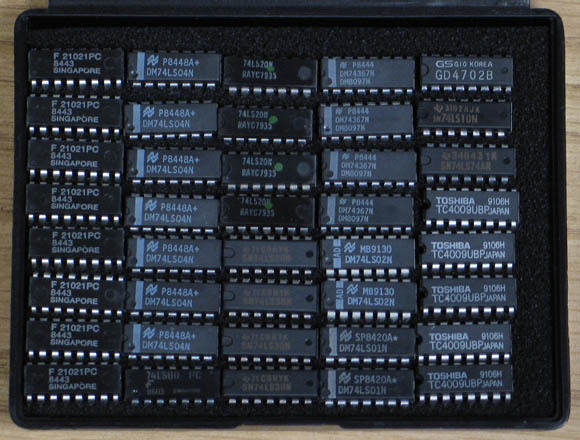 Please note that only one DB25 connector is included in the kit. The rest of the plugs can be purchased separately when needed. The SuperAltair card is not ready yet. 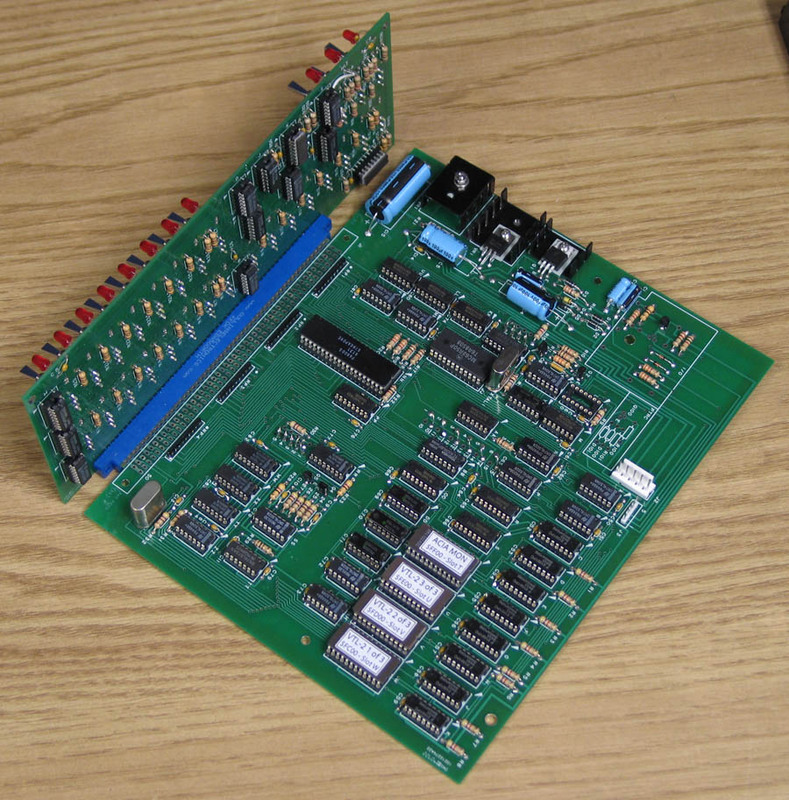 Altair 680 replica connected to an ADM-3 (not included, look on e-bay). 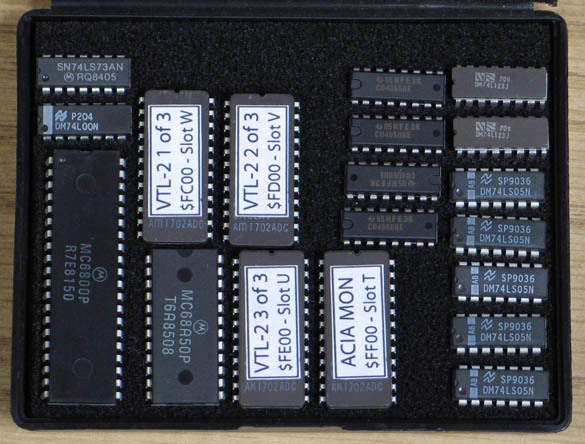 It is running a very simple VTL-2 program. 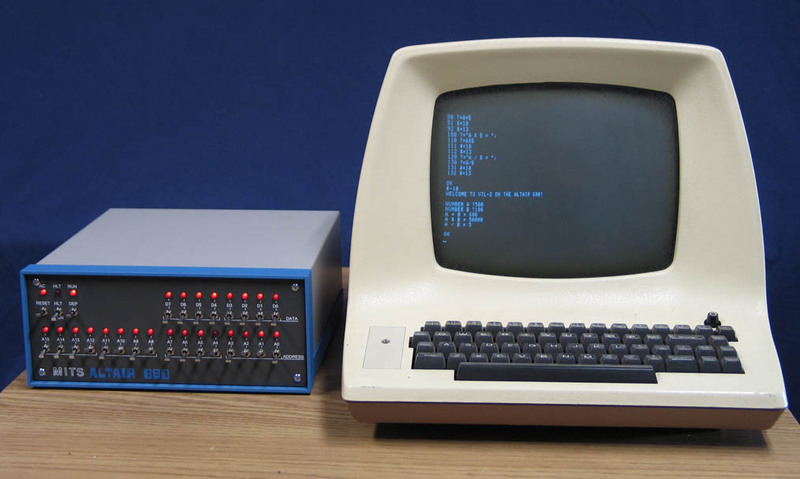 A standalone terminal is NOT required to use the Altair 6800 replica. 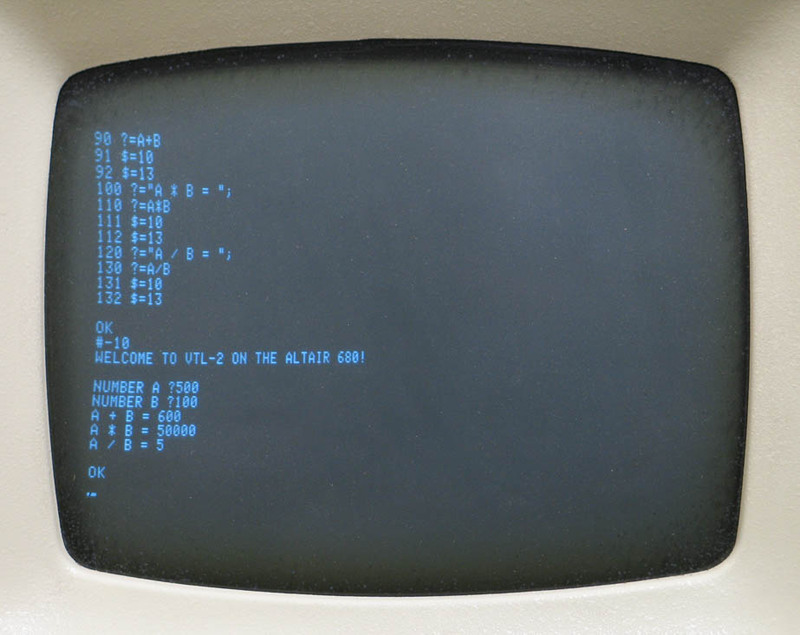 You can use any Windows/Linux/MacOSX/etc computer with a serial terminal program, like Hyperterm. 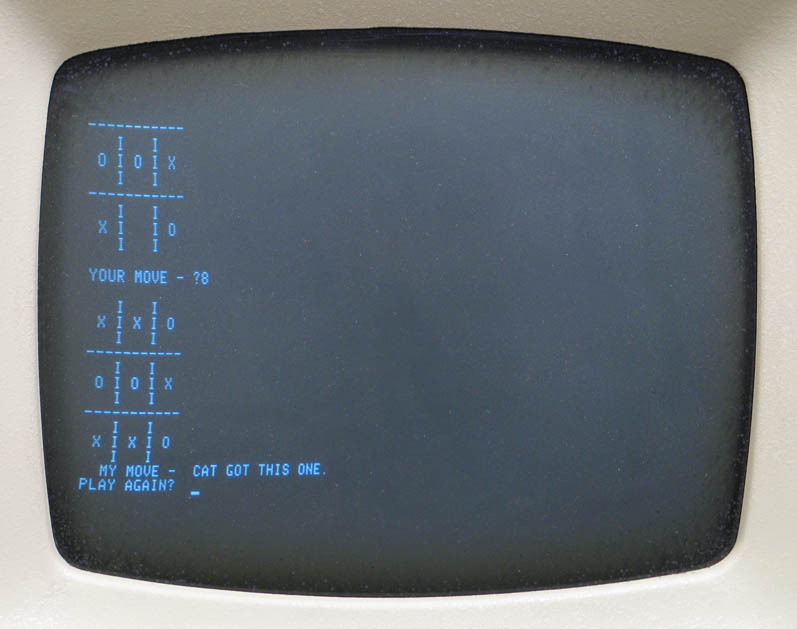 Screen shot of VTL-2 program, Tic Tac Toe! 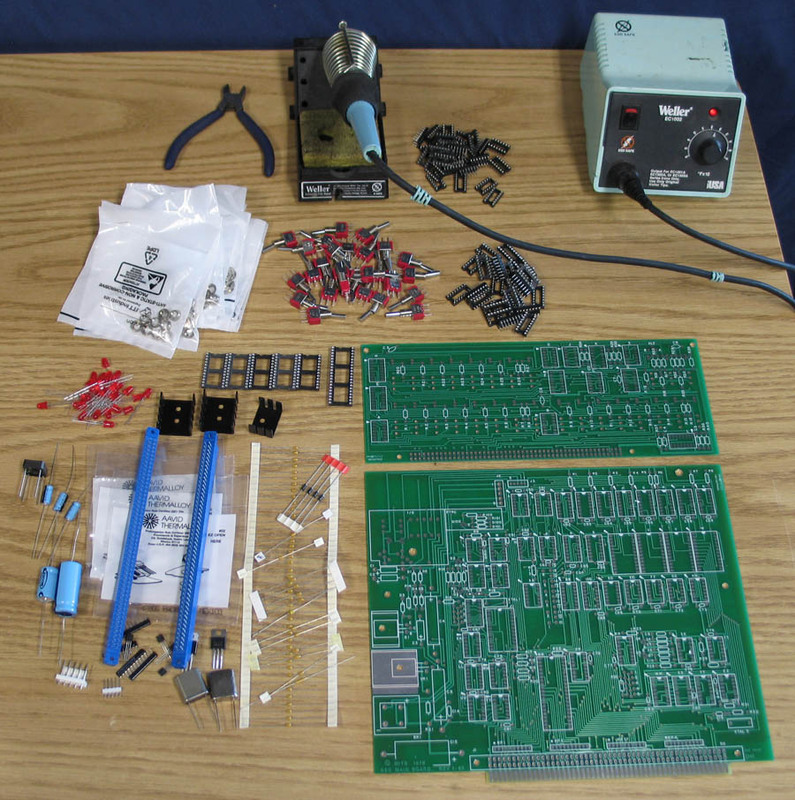 Visit Stockly Electronics Forums for more pictures and program examples as they become available!